Massive floods in Peru. Earthquakes in Mexico. Hurricanes and wildfires in the United States. 2017 was an unprecedented year for natural disasters around the world, inflicting a tragic toll measured in lost lives, displaced communities, damaged property, and economic and ecological disruption. In the U.S. alone, NOAA estimates that weather-related disasters cost a record-breaking $306 billion – a tally that was matched around the world. The rising incidence and intensity of disasters worldwide highlights the need for flexible, efficient, and targeted disaster mitigation, response, and resilience-building strategies. 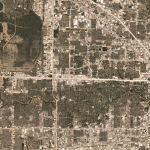 That’s why Planet is unveiling a new Emergency and Disaster Management solution that helps frontline organizations harness the power of satellite imagery to accelerate and improve every facet of their operations, from the pre-positioning of assets to monitoring long-term rebuilding. 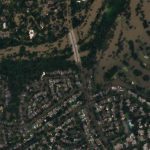 In response to the unpredictable nature of disasters, Planet’s new solution offers “monitoring on-demand” imagery that is tailored to the needs of government agencies, humanitarian organizations, and commercial enterprises. Before and immediately after a disaster strikes, customers can begin quickly accessing pre-event imagery and post-event imagery. Planet’s continuous monitoring of the planet means it typically has the most recent pre-event imagery available. Rapid, “On-Demand” Monitoring provides near-real-time data before, during, and after a disaster – enabling a more persistent understanding of events. Simplified Contracting and Procurement ensures customers only pay for what they need, when they need it. Seamless API Integration enables imagery to be seamlessly and reliably integrated into existing workflows. Targeted Time Frame enables customers to zero in on a specific time frame – from days to months – that matters most to your efforts. 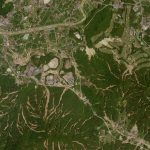 Optional High-Resolution SkySat Imagery to obtain sub-meter resolution detail to assess ground conditions and direct relief efforts. 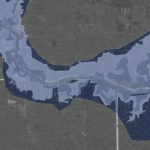 Early Access to new disaster-response features, benefits, and analytical tools as they become available. The solution has several offerings: a “Single Geography” option designed for organizations that respond to disasters and emergencies in a pre-defined area of interest (such as civilian disaster agencies, insurers, and corporations); and a “Multiple Geography” option for those that respond to disasters around the world, regardless of where they occur (such as national and international NGOs).